Washington State may not have an explicit law on driving around with a cracked windshield, but that’s not a valid excuse to forego visiting a local Seattle auto glass shop. 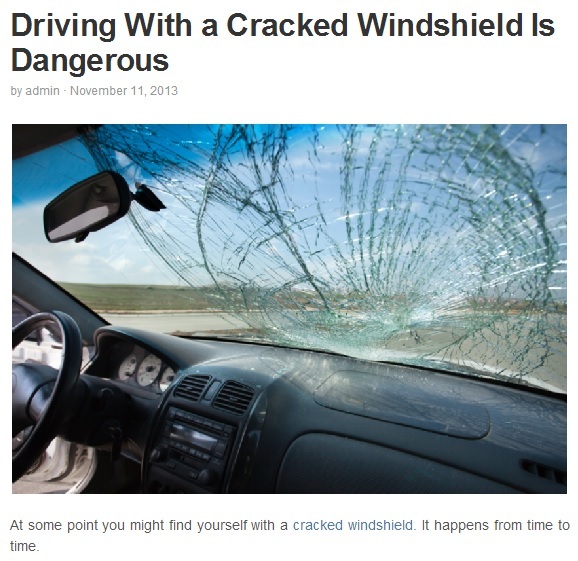 Below are some of the perils that come with driving with a damaged windshield. High risk of ejection – When the car figures in a crash, the driver is more likely to shoot out of the driver’s compartment and suffer more injuries in the process. Studies have concluded that surviving a car crash is much more likely if the passengers remain inside. In this case, the windshield itself will act as a secondary defense should the seatbelts fail.